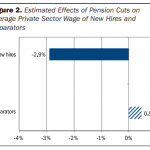 While private sector employers began rapidly adopting automatic enrollment provisions for their 401(k) plans after the passage of the 2006 Pension Protection Act, the public sector has been much slower to do the same for retirement saving plans. 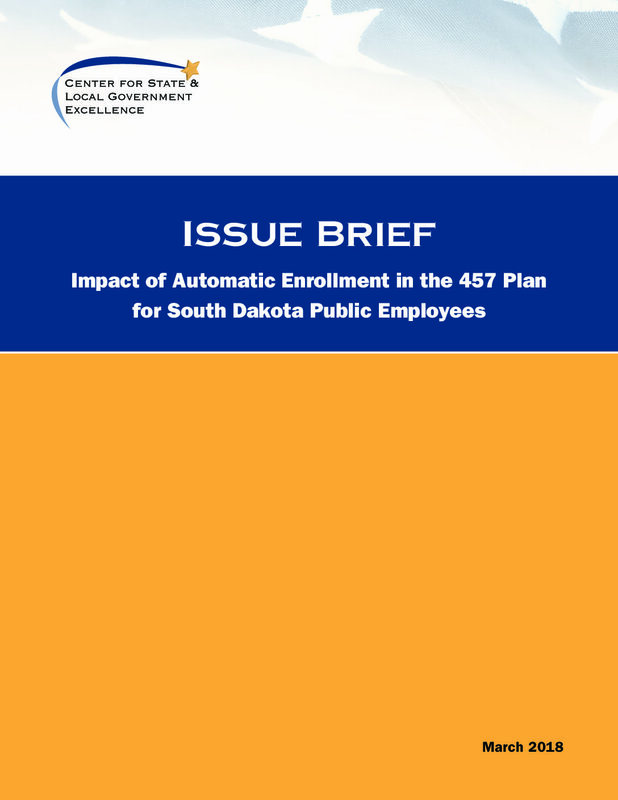 In 2009, South Dakota became one of the first states to implement automatic enrollment in its supplemental retirement saving plan (SRP) for public employees. 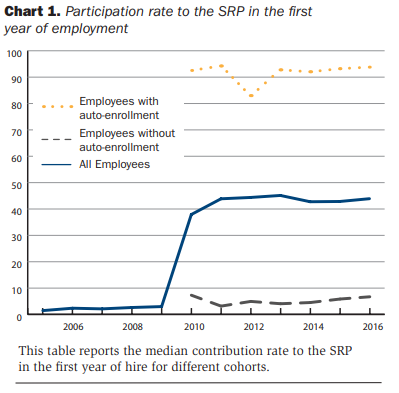 Prior to 2009, state and local employees had to voluntarily opt into the SRP, and few did. 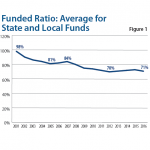 Concerned about employees’ ability to achieve their desired retirement incomes, state administrators proposed that the South Dakota legislature enact legislation to enable state agencies to implement automatic enrollment policies. Employees’ response to automatic enrollment was positive: as a result of the change, SRP participation rates are 85 percentage points higher for employees who are automatically enrolled compared to those working at agencies that did not adopt automatic enrollment.